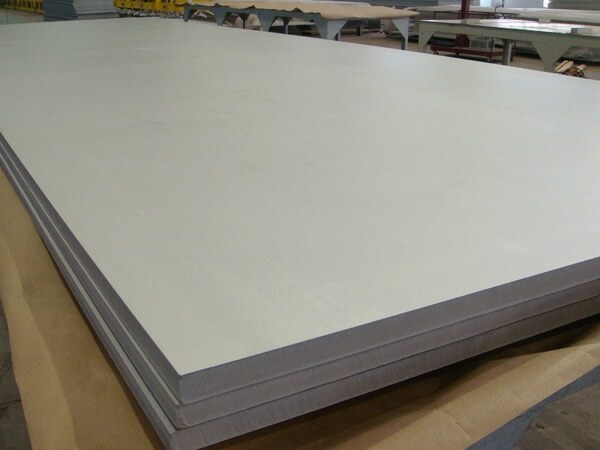 Manufacturers & Suppliers of RDSO Spec CK201 X2CrTi12 Stainless Steel Plates, X2CrTi12 1.4512 Plate, X2CrTi12 EN 10088 Plates in Mumbai. X2CrTi12 1.4512 Plates / SS X2CrTi12 EN 10088 Plate / Stainless Steel 409 Plates / SS S40900 Plate. Research Designs and Standards Organisation Specification No. CK 201 X2CrTi12 Plates, SS 409 Plates Exporter in India, rdso spec ck201 x2crti12 SS plates, DIN 1.4512 Plates, Stainless Steel 409 Plates, EN 10088 X2CrTi12 Plate, SUS 409 Plates, Stainless Steel X2CrTi12 Plates, EN X2CrTi12 1.4512 Plate, UNS S40900 Plate Supplier in Mumbai, India. 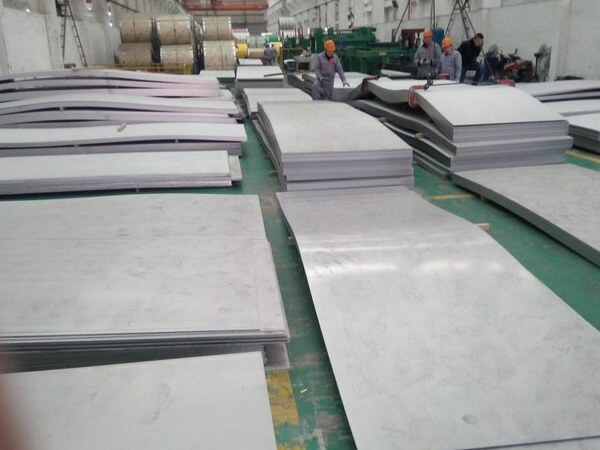 EN 1.4512 X2CrTi12 Stainless Steel Hot Rolled Plates, RDSO spec ck201 Plates, X2CrTi12 Stainless Steel Plates, DIN X2CrTi12 Steel Plates, RDSO spec C-K 201 Stainless Steel Plates, AISI 409 Plates, DIN 1.4512 EN X2CrTi12 Plates, EN 10088-2-2005 Grade X2CrTi12 Plate, SS X2CrTi12 Plate, SUS 409L Plate Exporter in Mumbai, India. So you are seeking to rdso spec ck201 x2crti12 plates. You want it to get delivered to your doorstep high quality that an application desires to have. Today the large numbers of the industry are cropped that is highly involved in offering the stunning quality of plates. Jayesh Metal Corporation is one among those that are fully engaged in offering the good quality of plates that are offering various features. These are like rugged construction, high tensile strength, commendable dimension accuracy, high flexibility, high durability, anti-corrosive, pitting resistance, stress corrosion cracking resistance, long lasting, cost effective etc. The industry is promising in offering the item at a pocket-friendly rate that a buyer desires to have. They are supplying the rdso spec ck201 x2crti12 plates only after checking its quality by conducting several tests. These are PMI test, IGC test, flattening test, flaring test, hardness test, macro test, micro teat, chemical test, mechanical test etc. 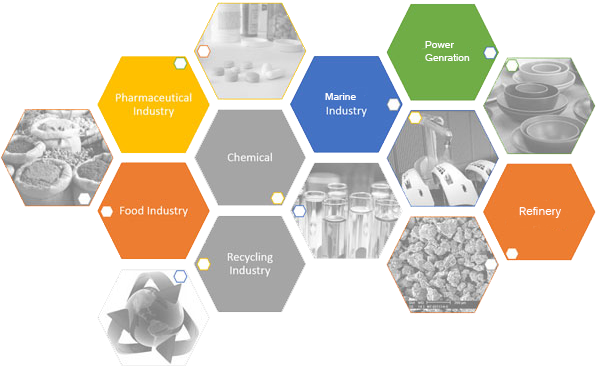 The industry is welcoming thorough stage wise inspection by the third party agency to ensure the effectiveness of the entire production process. With respect to both national and international product standard (ASTM, ASME, JIS, DIN, EN, BS, API) the item is supplied at economical rates. The product is packed carefully using various effective techniques that are assuring the high level of safety. The item is packed using wooden crates, wooden boxes, carton boxes, wooden pallets, shrink-wrapped etc. This gives 100% surety that the item will be delivered to the buyer in good condition as per the wants of the buyers. Steel Plate Polishing : Rolf Engg can polish nearly any stainless steel plate item to a #4 polish, #6 Polish, #7 polish or a #8 mirror finish. Stainless plates can be polished on one side or two sides. Stainless steel polished plates can also be cut to size. Pitt free surfaces can also be provided. 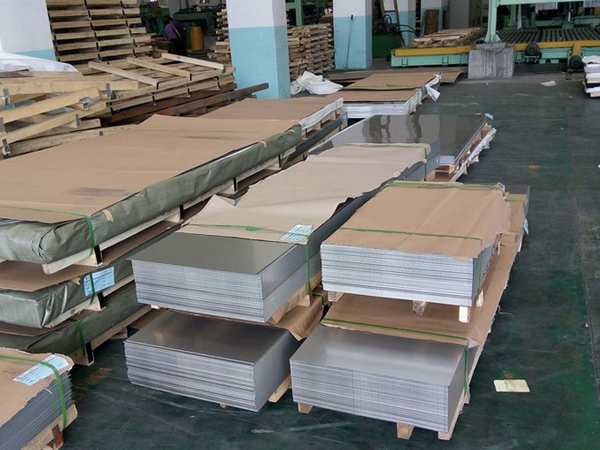 DIN X2crti12 Ferritic Stainless Steel Plates, EN X2CrTi12 Plate, X2CrTi12 Plates Supplier in Mumbai, Stainless Steel X2crti12 1.4512 Cold Rolled Plates, EN X2CrTi12 Plates Supplier in India, DIN X2CrTi12 Ferritic Stainless Steel Plates, RDSO Specification CK 201 Plates Exporter in India, Research Designs and Standards Organisation Specification No. 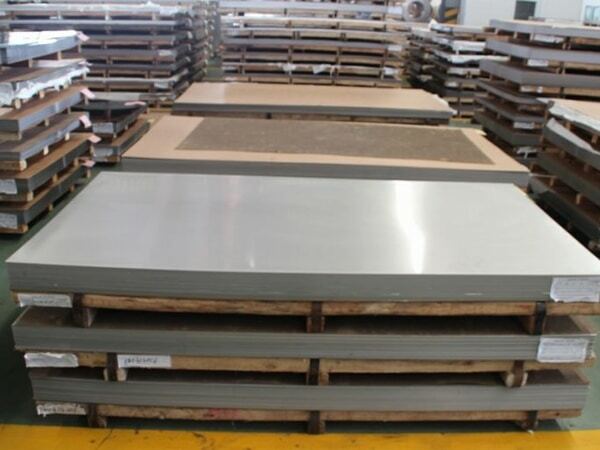 C-K 201 For Stainless Steel Plates, RDSO Spec CK 201 Stainless Steel X2CrTi12 Plates Exporter in Mumbai, Ferritic Steel Plate Grade X2crti12, Grade X2crti12 Stainless Steel Plates for Coaches of Indian Railways, W-Nr 1.4512 X2CrTi12 Plates, stainless steel ck 201 X2crti12 plates in railway, EN 10088-2 X2CrTi12 Stainless Steel Plate Manufacturer in India, X2CrTi12 (1.4512) Steel Plate Dealer in Mumbai, RDSO Specification No. CK201 SS Strip, rdso spec ck201 x2crti12 Coils, SS X 2 CrTi 12 Plates manufacturer in Mumbai, X2CrTi12 Price, stainless steel ck201 X2crti12 plates in railway, EN 1.4512 X2CrTi12 Stainless Steel Plates Price List in India, X2CrTi12 mechanical properties, X2CrTi12 chemical element, X2CrTi 12 specifications, X2CrTi 12 steel material properties, en 10088-2 x2crti12 Plates, material x2crti12, material X2CrTi12 (409) to RDSO SPEC. CK-201 in rail coach, x2crti12 equivalent, x2crti12 Grade, ck 201 material, rdso ck-201 dealer in India, ISO X2CrTi12 Plates, RDSO Spec CK 201 Stainless Steel X2CrTi12 Plates Exporter in chennai , ck 201 material, rdso ck-201 dealer in kapurthala. South Korea, Ukraine, Philippines, Estonia, Argentina, Mongolia, Portugal, Kuwait, Peru, Angola, Norway, Thailand, Iran, Austria, Kazakhstan, France, Indonesia, Tibet, Libya, Iraq, Iran, Morocco, Belarus, Poland, Turkey, Czech Republic, Israel, Russia, Chile, Brazil, Venezuela, Saudi Arabia, Taiwan, Slovakia, China, Trinidad & Tobago,Tunisia, Gambia, India, Nigeria, Sweden, Croatia, Jordan, Oman, Chile, Japan, Bulgaria, Greece, Finland, Malaysia, Vietnam, United Arab Emirates, Afghanistan, Belgium, Lebanon, Romania, Australia, Spain, Switzerland, Nigeria, Hong Kong, Ecuador, Ireland, Lithuania, Canada, Poland, New Zealand, Bangladesh, Algeria, Costa Rica, Italy, Germany, Ghana, Nepal, Qatar, Zimbabwe, Hungary, Bahrain, Azerbaijan, Mexico, Pakistan, United States, Puerto Rico, Kenya, Denmark, Sri Lanka, Egypt, South Africa, United Kingdom, Yemen, Singapore, Namibia, Serbia, Mexico, Colombia, Macau, Bolivia, Netherlands, Gabon, Bhutan. Brisbane, Sharjah, Hanoi, Istanbul, Jamshedpur, Seoul, Doha, Lagos, Al Khobar, Ahvaz, Bogota, Howrah, Edmonton, Rio de Janeiro, Secunderabad, Santiago, Kuala Lumpur, Chiyoda, Ankara, Tehran, Baroda, Thane, Granada, Colombo, Chandigarh, Houston, Rajkot, Melbourne, Bengaluru, Dammam, Los Angeles, Moscow, Port-of-Spain, Ludhiana, Aberdeen, Hyderabad, Busan, Visakhapatnam, Milan, Calgary, Madrid, Chennai, Navi Mumbai, Muscat, Gimhae-si, Petaling Jaya, La Victoria, London, Kolkata, Lahore, Kanpur, Mexico City, Ahmedabad, Caracas, Atyrau, Montreal, Pune, Jakarta, Gurgaon, Pimpri-Chinchwad, Kuwait City, Noida, Hong Kong, Thiruvananthapuram, Cairo, Ernakulam, Dallas, Vung Tau, Indore, Dubai, Ho Chi Minh City, Bhopal, New York, Jaipur, Sydney, Surat, Perth, Ulsan, Ranchi, Karachi, Manama, Vadodara, Singapore, Courbevoie, Bangkok, Jeddah, Coimbatore, Haryana, New Delhi, Abu Dhabi, Faridabad, Algiers, Nashik, Riyadh, Geoje-si, Toronto, Al Jubail, Nagpur, Mumbai, Kapurthala.